Reflow tray for testing of IC chip through a PCB board reflow soldering machine. 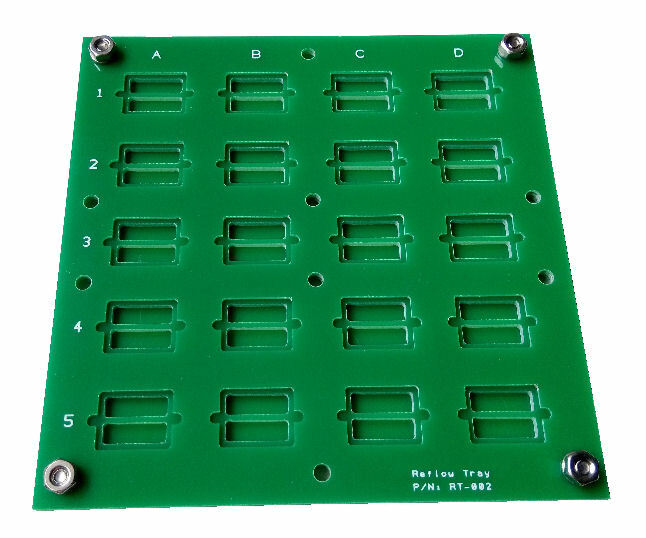 Test jig holding tray for IC chip testing. PCB board milling for different layers creating a 3D test tray for holding IC chip in position. Text printing using white silk screen. 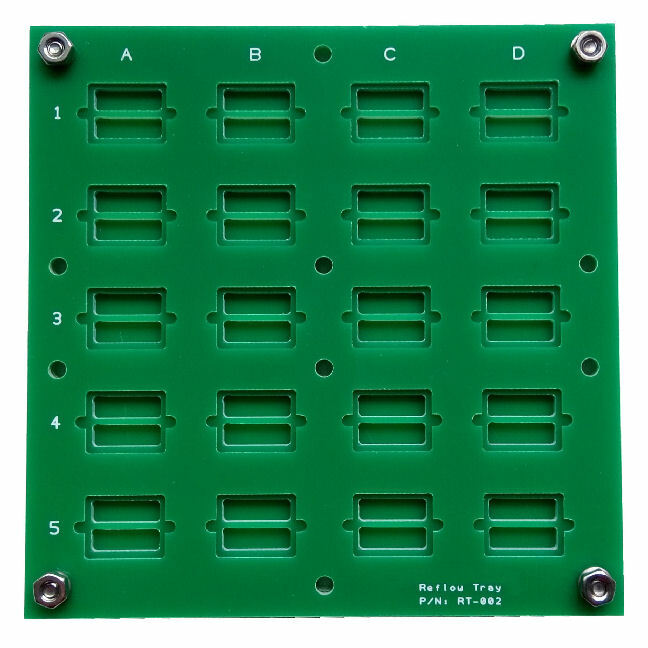 Designed to hold 20pcs of BGA IC chips. 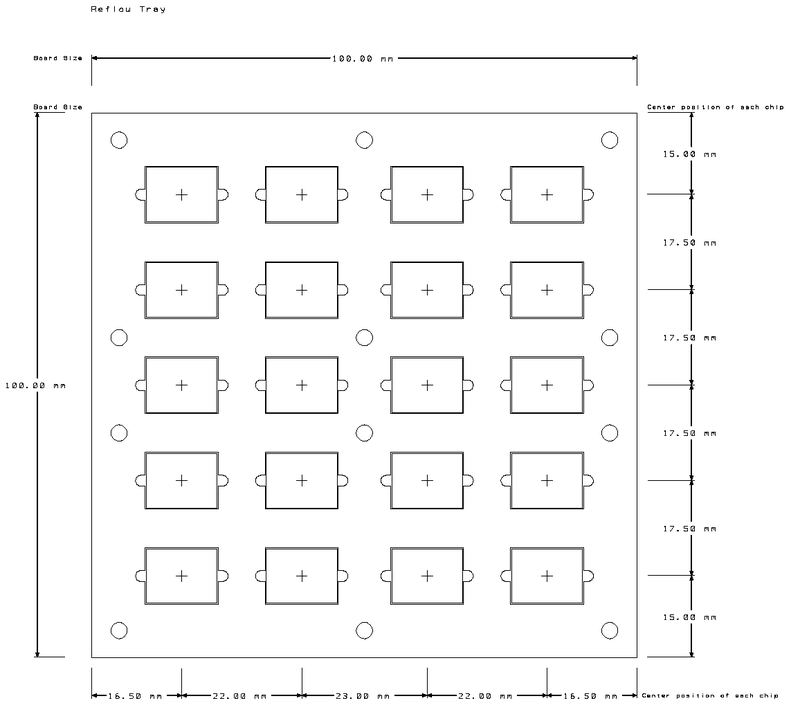 Place the IC Chips (test subject) on the reflow tray. Position the tray with the IC chips on a reflow soldering oven or the reflow soldering conveyor belt. 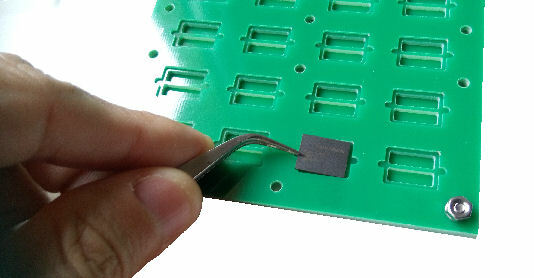 Reflow soldering takes about 5mins, with a temperature reaching a peak of about 250°C. Allows the tray to be cool, and pick up from the reflow machinery. Allow the tray to cool down before using it for the next round of reflow testing. 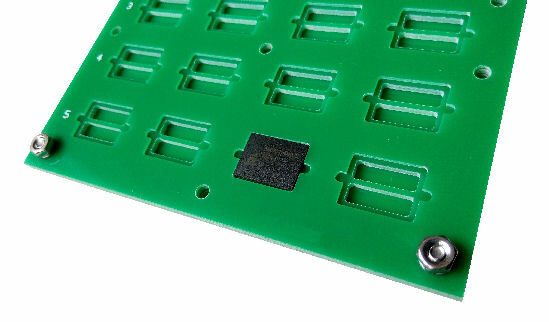 The PCB will turn dark green under normal usage after using it for a number of times. Warning: If the tray is being over heated, the green mask can start to be decolourised. Burned mark with brown black color can be observed.